What would you do if you cheated death by days? If certain demise had suddenly turned to reprieve by unseen hand? Would you live as if it were a gift? Would you make the bucket list and begin the adventures of one living the bonus round? Here is Alvin, and here is his story. AND his bucket list! 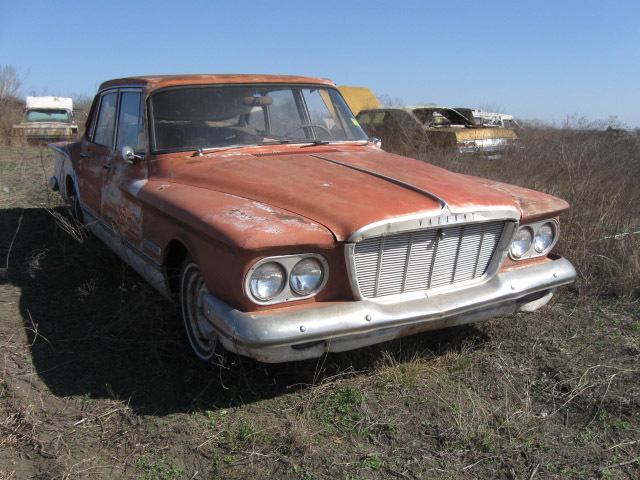 I first met Alvin in a Mopar (Chrysler - Plymouth - Dodge) - centric wrecking yard in Niederwald, Texas. Having a fleet of decrepit Dodges & Plymouths, I was on a first name basis with the guy who ran it. When I got a call that they were done, the land was going to be sold and that everything was going to be crushed so "Come get what you want", I saddled up the ol' Econoline and headed out determined to grab some goodies. On the way there I realized this was my chance; my chance to earn that real car guy merit badge and rescue a car from a junkyard to get running again. Though I knew this place was fairly picked over, I began thinking of old Chargers or maybe an old van. Nope. Everything there was big chunks of nothing left held together by rust. Then on my way out, I saw him sitting there, sunk into the dry Texas ground. 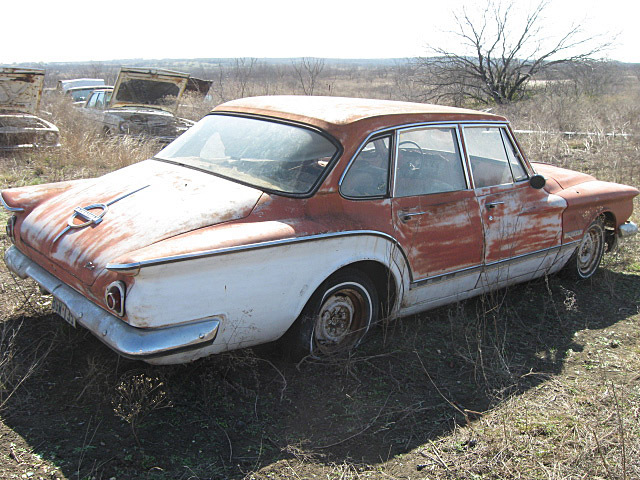 Quite possibly the least desirable Mopar on the planet, a 4-door 1962 Plymouth Valiant. But he was complete and intact! Nobody had even wanted parts off of him. In a classic Scott "Charlie Brown Christmas Tree" moment of crazy stray cat empathy for the unwanted, I put my hand on his fender and said, "You're coming home with me. I'm going to save you. You will not be crushed." A deal was made, and days later the car arrived at my driveway - the same day Alvin Lee from the band Ten Years After died. This date and Alvin being almost an anagram of Valiant, and there you have it. Alvin The Valiant.